Pine resins when boiled to high degree, an oily liquid produced called Hydrocarbon which is known as Longifolene, a common chemical name for this hydrocarbon. Its formula is C15H24 and molecular weight is 204.35628000. The name given is related to the pine species from which this compound is extracted. The pine species is Pinus longifolia and the name longifolene is derived from this. This is chemically a tricyclic sesquiterpene. The molecule chiral found in this species of pine is also seen in most pine trees and, in plants growing at high altitudes. Longifolene is generally colorless and sometimes it is slightly liquid and its texture it is oily. It is inflammable so it has to be kept away from flame or heat. This compound has always interested researchers as has pressed together tricyclic structure and does not have functional groups. This compound is available in large quantities and this is another reason that it has been used for academic studies. The bridged structure of longifolene undergoes many migration reactions. So this is excellent for theoretical studies and for practical uses as well. In 1960 the theory of retrosynthesis and disconnection evolved and this paved way for the development of Logic in Organic Synthesis. 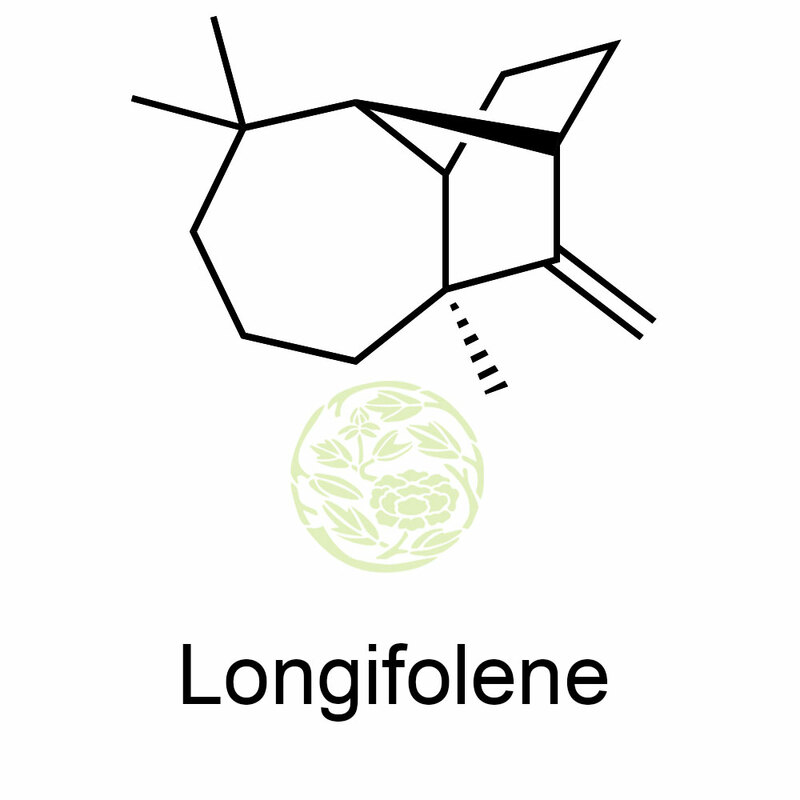 Longifolene is used in the production of chemicals and in consumables. Organic synthesis of dilongifolylborane uses longifolene. Dilongifolylborane is a chiral hydroborating agent. It is used as base material in making flotation oils, synthetic perfumes, organic chemicals and synthetic resins. It is also used in essential oils as it blends with many oils. 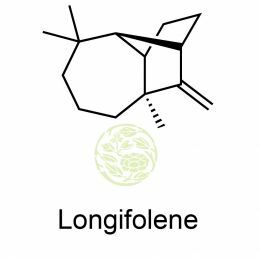 The aroma of longifolene contributes a little for its aromatic nature. In lapsang souchong tea longifolene is used abundantly because this tea is prepared by smoking over smoked pine trees. It is used in the production of woody and floral odorants. It acts as a very good fixative. It is also used in toiletries and cosmetics like deodorants, face creams, sprays, toilet waters and cologne, shampoos, detergents, shaving lotions, shampoos, skin lotions and more.